Hi is sports chrono a deal breaker looking at a nice 997 Carrera S tiptronic has all I want but no sports chrono . You can retrofit it, but no wart. This is what I did, for around £900 at my nearest OPC. Makes a huge difference to my car (which is a PDK) and it would be a must for me if I was buying in future (perhaps not on a manual, but definitely on an auto). the sport option is good but as others says it can be retro fitted without the useless wart .the wart has no use whatsoever unless you live on a track and TBH those that do even have more sophisticated ways of tracking times etc. So it for we wouldn't be a deal breaker if it wasn't on the car you wanted. I like the wart as I can stick my GoPro to it for those over-the-bonnet shots. I don't actually use the laptimer on the track. And some insurance companies don't like it if you're timing yourself, as it's too close to competition (Time Attack for example). Anyway, all that speculation aside, I'd say that the Sports Chrono Pack is essentíal on a PDK, but if it's factored into the price, you can have it retrofitted. Some might even prefer a car that way... sans carbuncle. As long as the asking price reflects the fact that it hasn't got it fitted it shouldn't be a show-stopper. Later on you can decide whether to retro fit it. If i remember correctly the "wart" is actually illuminated but was coded off due to screen glare or something ... i need to have a look at the coding options next time i have one in . You are correct. It is illuminated but only when actually in use. Aghh i see .. i think the coding option must be to illuminate it with headlights on ..
its one of those things that i dimly remember as being something that can work but we was told not to enable it ..
Been so long since these came out i cant remember ..
You aren't! One more here. Looks good to my eyes. My car is a manual and I never use sport mode so still useless!! 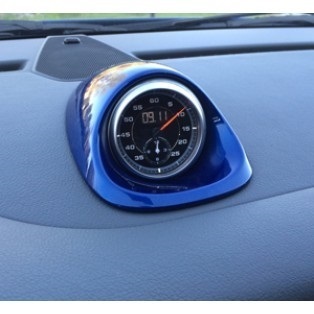 Looks good to me as its a nice clock to tell the time from, I know it has a stop watch function but what exactly is it supposed to be for or do, the car seems to have an enhanced sport plus mode, is this what it is about, making the car faster response wise or a gimmick. There’s more than just the ‘wart’ to consider though isn’t there. On the ‘7’ generation, the Sport button controls the PASM and PSE. Also quickens up the throttle response, car feels lazy without it. Never use my car not in Sports mode other than whilst I warm her up. This then keeps the PSE actuators and butterfly valve ranges in check. Good advise to anyone with PSE. Pretty sure Sport mode puts a different map on the engine as my exhaust pops and spits on change up in Sport mode, also dents the fuel economy as well! Definitely transforms a PDK box and in Sport plus it's even madder. Just wish the button was easier to access from the steering wheel like it is in the new 992. 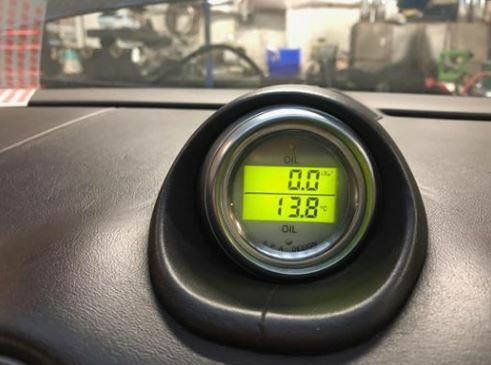 That's a neat retro fit of and oil temp gauge, personally in 2 years I've never even used the Stop Watch and I wouldn't miss it. It wasn't a priority for me when buying, but the car I bought happened to have it, if I was buying again it certainly would be a priority, it transforms the car.